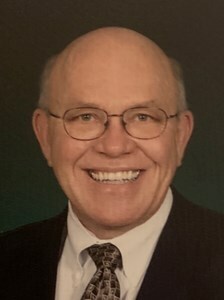 David G. Arps, 69, of Green Bay, husband of Ritalyn (Krueger) Arps, departed this life on Thursday, February 7, 2019 at his home. Dave was born in Appleton on October 13, 1949, son of the late Edgar and Mildred (Osinga) Arps. He and Ritalyn were married in Forest Junction on August 26, 1972. He worked his entire career in the insurance industry starting in Iowa and retiring in 2014 from Aon Risk Services of Wisconsin as a Resident Managing Director. In 1985, he was the first recipient of the Daniel Whitney Award from the Green Bay Area Chamber of Commerce commemorating his outstanding volunteer service. Dave enjoyed gardening, and was proud his home was featured in the Green Bay Botanical Garden Walk in 2008. Dave and Ritalyn were also recipients of the Allouez Beautification Award in 2007. Dave loved music and enjoyed his time singing with the Green Bay Barbershoppers. He was a long time member of the First United Methodist Church where he was part of the BOB men's group and Finance Committee. Dave was an active member of AA and was proud of his 17 years of sobriety. His favorite place was the family cottage on King Lake. He is survived by his wife of 46 years Ritalyn and their three children: Kenton (Gwendolyn) Arps, Kathryn (Nick) Lonzo, and Kristine D Arps. He also leaves six beloved grandchildren: Elissa, Jacob, and Wyatt Lonzo and Tyler, Reid, and Sadie Arps. He is also survived by his siblings: Richard (Sandy) Arps, Nancy (Fred) Refling, and Patricia (Gary) Ott, along with numerous nieces, nephews, extended family and friends. He is preceded in death by two grandchildren: Carsten and Emmitt Arps along with a stepfather, Harold Zick and sister, Nancy Arps. Visitation will be held on Wednesday, February 13th from 4 PM - 7 PM at Newcomer - Green Bay Chapel, 340 S. Monroe Avenue, Green Bay. Burial will be private in Woodlawn Cemetery. In lieu of flowers memorial contributions may be directed to: Kathy's House, 600 N. 103rd Street, Milwaukee, WI 53226 or the First United Methodist Church, 501 Howe Street, Green Bay, WI 54301. To leave a message of Remembrance of Dave and to share it with his family please click on the share memories button above. Add your memories to the guest book of David Arps. I am so sorry to hear that Dave has passed. He sure was one of a kind! I still remember him telling me I looked like a grape in my purple suit and skirt at Alexander & Alexander. That is just one of the memories. My thoughts and prayers are with Rita, Kent and Gwen and the rest of the family. I'm sure you have many memories to keep him alive in your hearts! He was always calm and open. Before I was hired, he interviewed me and we talked about my military experience. Very little about the actual job I would be doing. He had a unique way of making you comfortable and still being able to get what was needed for the opportunity. We are so sorry for the heartache you are going through at this tough time. I know all of the happy memories you share with your children and grandchildren will help. Our thoughts and prayers are with you. Dave and I once worked for the same company, sharing a connection to a fellow named Frank Mobley. The difference was that Dave was in Iowa and I was in Michigan. Then, in the mid-90's, we met, having both arrived in Green Bay. We were competitors in the insurance industry and friends everywhere. Many a lunch hour was spent in Dave's company playing cribbage or chatting about life's road. My sincere condolences to Rita and Dave's family. Dave used to stop for lunch at Lorelei. Was always a nice guy. Often played best out of three games of cribbage against my dad, Lenny! Five bucks a game, double on the skunk!!! Sure they have a game going up in heaven. Rita so sorry for your loss. Holding your family in my thoughts and prayers. Our thoughts are with all of the Arps family, as our children grew up together & spent many weekends at their 'cottage up Nort', cooking outside, & playing Cribbage with Dave. Know that he is out of pain, like our Jerry, & was one of his best friends. Many memories of their projects together on the roof, with lots of almost accidents there will be remembered. We are sending our regards to all of you. So sorry for your loss. Dave will be in your heart all the time! Thoughts and prayers from the Wicker’s.